Download your own 7 Facts Handout and Posters. ADHD is a non-discriminatory disorder affecting people of every age, gender, IQ, religious and socio-economic background. In 2011, the Centers for Disease Control and Prevention reported that the percentage of children in the United States who have ever been diagnosed with ADHD is now 9.5%. 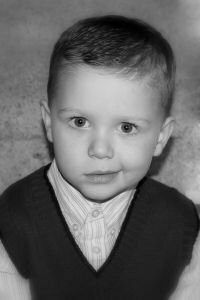 Boys are diagnosed two to three times as often as girls. 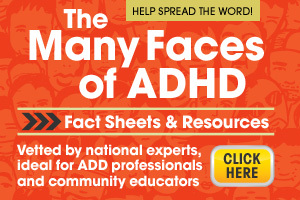 ADHD, AD/HD, and ADD all refer to the same disorder. The only difference is that some people have hyperactivity and some people don’t. In order for a diagnosis of ADHD to be considered, the person must exhibit a large number of symptoms, demonstrate significant problems with daily life in several major life areas (work, school, or friends), and have had the symptoms for a minimum of six months. To complicate the diagnostic process, many of the symptoms look like extreme forms of normal behavior. Additionally, a number of other conditions resemble ADHD. Therefore, other possible causes of the symptoms must be taken into consideration before reaching a diagnosis of ADHD. What makes ADHD different from other conditions is that the symptoms are excessive, pervasive, and persistent. That is, behaviors are more extreme, show up in multiple settings, and continue showing up throughout life. No single test will confirm that a person has ADHD. Instead, diagnosticians rely on a variety of tools, the most important of which is information about the person and his or her behavior and environment. If the person meets all of the criteria for ADHD [10,11], he or she will be diagnosed with the disorder. Barkley, R.A., Murphy, K., and Fischer, M. (2007). ADHD in Adults, What the Science Says. New York, NY: Gilford Press. Snyder, J. (2001). ADHD & Driving: A Guide For Parents of Teens with AD/HD. Whitefish, MO: Whitefish Consultants. Dukarm, C.P. (2006). Pieces of a Puzzle: The Link Between Eating Disorders and ADD. Washington, DC: Advantage Books. All citations were retrieved from the Internet September 1, 2011.